Editions S.E.R.G.. Original wraps. Near Fine. 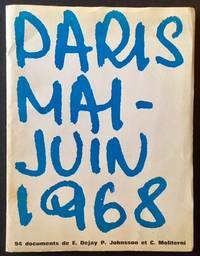 A collection of 94 period photographs (crisp black-and-whites), all documenting the student unrest that gripped Paris in May and June of 1968. Each photo loose (as issued) and clean and Near Fine. Together they're all housed in a printed quarto chemise, which shows very light creasing along the edges. The documentary photographers are Edouard Dejay, Philippe Johnsson and Claude Moliterni. New York: The Woodstock Census. Original wraps. Very Good +. The uncommon original mid to late 70s census (or questionnaire) issued by the Woodstock Census of New York in the decade after the August 1969 concert to "scientifically" measure current attitudes and likes and dislikes from the 60's Generation. The "official" census, made up of 22 stapled, mimeographed pages, asks the participant to rank his or her take on hundreds of different issues, such as "Armpit hair on women", "Black light posters", "Natural body odor", "Capitalism", "Underground newspapers", etc. The census, as campy as it seems today, represented an ernest effort to gauge how attitudes inevitably shifted in the intervening 5-10 years. Folio, crisp and clean, with very light creasing along the top-edges. Although unverified, there is some thinking that New York School poet and provocateur Ted Berrigan played a role in the composition of the census. From the title page: "THIS IS THE WOODSTOCK CENSUS. With your help, throught this questionnaire, we hope to find out what "The Sixties" meant to those who were part of it, and how the 60's Generation views itself today. Although these questionnaires will be kept anonymous, we are very interested in your opinions, so please consider your answers carefully. Your own personal feelings about the things described are what we're looking for. If some parts of what you read seem playful, that's because this questionnaire, although scientifically constructed, was as much fun for us to write as it will be for you to fill out"
New York: Pirate Edition (Distributed by Grove Press), 1971. Original wraps. Near Fine. 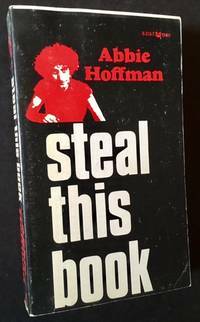 A crisp, very sharp copy of the 1971 1st edition (with Abbie's red silhouette on the front cover and "Pirate Editions" stated on the title page). Tight and Near Fine in its black wrappers, with light creasing at the spine and just a touch of creasing along the rear panel's top-edge. Thick 12mo, appeared concurently with a plain, unadorned hardback edition. Atlanta: Pendulum Books, 1969. Original wraps. Near Fine. 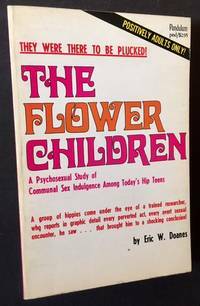 The 1969 1st edition of this uncommon study of hippie communal sexuality. Crisp and Near Fine in its printed wrappers. 12mo, 191 pgs. plus wonderfully campy publisher's ads at the rear. New York: Bantam Books, 1969. Original wraps. Fine. A pristine copy of the 1969 1st edition. Crisp and Fine in its pictorial wrappers. Pocketbook, a "Bantam Special"
New York: John Wiley & Sons, 1974. Hardcover. Very Good/Very Good -. 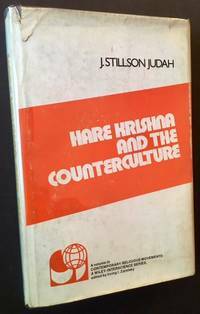 The 1974 1st edition of this uncommon study of the role of Hare Krishna in the counterculture of the 1960s. Solid and VG (very light soiling to the boards, one small clip at the front free endpaper) in a crisp, VG- dustjacket, with light chipping and creasing along the panel edges and light soiling to the panels. 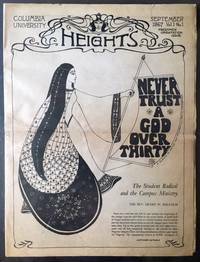 Octavo, "the first major study of the Hare Krishna movement in America, describing its history, philosophy, structure and devotees (from the front flap). Part of Wiley's impressive "Contemporary Religious Movements" series. New York: W.E.B. DuBois Clubs of America, 1968. Original wraps. Near Fine. 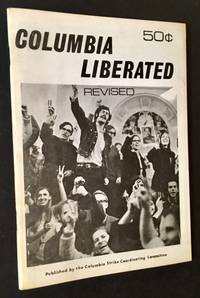 November 1968 review by Bay Area Communist Party leader Bettina Aptheker of the Spring 1968 occupation of Columbia and its current aftermath. Clean and Near Fine in its stapled wrappers. Aptheker here offers an histocial context and continues to make a call-to-arms. The Columbia Strike Coordinating Committee, 1968. Original wraps. Near Fine. 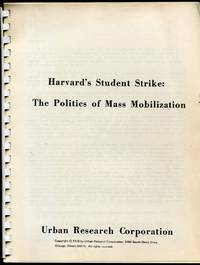 September 1968 booklet (apparently the revised, updated edition) issued by the Columbia Strike Coordinating Committee (an arm of the SDS?) calling for continuing unrest on the campus, even as the University has reopened after the Spring 1968 shutdown. Tight and Near Fine in its stapled pictorial wrappers. New York: World View Publishers, 1968. 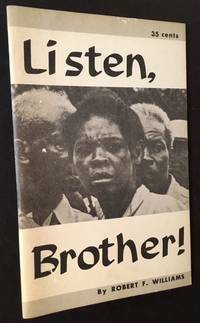 The September 1968 2nd printing of this pamphlet written in China and seething with anger over what the author calls the continuing injustice inflicted on the African-American communities. Operating under the umbrella of the Chinese Communist Party, Williams here makes his pledge to return to The States to seek justice. This booklet is clean and Near Fine in its stapled pictorial wrappers. New York: Sheed and Ward, 1970. Cloth. Fine/Very Good +. 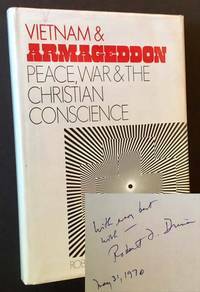 SIGNED BY THE AUTHOR ROBERT F. DRINAN IN YEAR-OF-PUBLICATION on the front free endpaper. 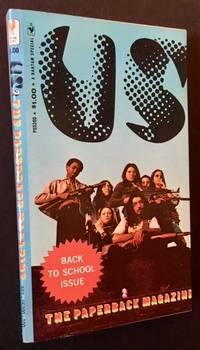 A very solid copy to boot of the 1970 1st edition. Clean and Fine in a crisp, price-intact, VG+ dustjacket, with several very small closed tears --and very light creasing-- along the panel edges. Octavo, 210 pgs. New York: The Library Press, 1972. Cloth. Near Fine/Very Good +. 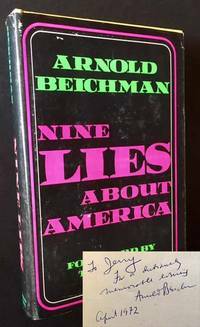 INSCRIBED BY THE AUTHOR ARNOLD BEICHMAN IN YEAR-OF-PUBLICATION. A solid copy to boot of the 1972 1st edition. Tight and Near Fine in a bright, price-intact, VG+ dustjacket, with light rubbing at the panels and tasteful former owner bookplate to the front pastedown. Octavo, Foreword by Tom Wolfe. Smith Kline & French Laboratories: Philadelphia, 1969. 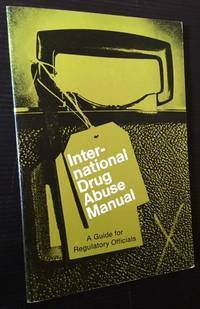 Uncommon manual --issued in 1969-- of investigative techniques, identification measures, shifting definitions, etc. within the international narcotics trade. Clean and Near Fine to Fine in its green pictorial wrappers. Octavo, also includes "glossary of technical terms", "principal trade routes of illicit drugs" and detailed illustrations of the opium poppy, the coca bush and the marijuana leaf, etc. Zeppelin Publishing Corporation, 1975. Original wraps. Near Fine. 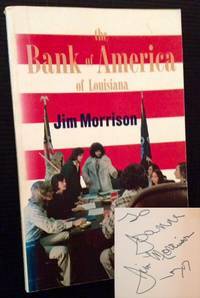 INSCRIBED BY THE AUTHOR JIM MORRISON on the front pastedown. 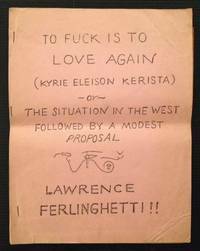 A very sharp copy to boot of the 1975 stated 1st edition of this wild story of the "re-appearance on earth of a deceased Hollywood rock star as Super Hippy disguised as a mild minded Louisiana Banker". Tight and Near Fine in its pictorial wrappers, with just a touch of staining at the preliminaries. Octavo, 188 pgs. Chicago: Urban Research Corporation, 1970. Original wraps. Near Fine. 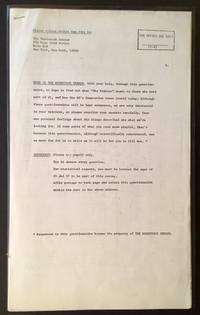 Uncommon 1970 mimeographed paper detailing Harvard's legendary Spring 1969 student strike. Clean and Near Fine in its plastic-comb binding. 57 pgs., taut, gripping narrative. Chicago: Urban Research Corporation, 1970. Original wraps. Near Fine. 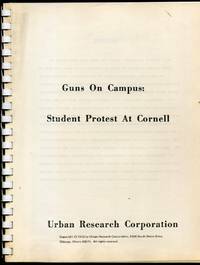 A mimeographed copy of the uncommon 1970 paper addressing student protest at Cornell. Clean and Near Fine in its plastic-comb binding. 36 pgs., gripping, tense narrative. Nick Gavrilou, 1972. Original wraps. Near Fine. Very scarce mock-up of an early 70s intended book on working the system thru television--and making it a more democratic and responsive tool. 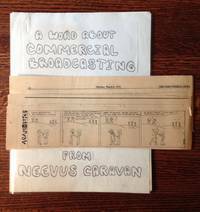 Written and illustrated by Nick Gavrilou, who had a comic strip for years in The Soho Weekly News called "Agamosites" (several examples of which are included with this mock-up). 14 loose 8 1/2" x 11" sheets (which are held together by mylar), the text and illustrations for the most part pasted-on. Also includes an original Valentine card and handwritten note from the author. A nice example of original early 70s "radical" journalism, focusing in this case on television as one of the main culprits of society's ills. Woodstock, NY: The Overlook Press, 1975. 1st. Cloth. Collectible; Very Good/Very Good. SIGNED TWICE BY ALICE BROCK (INCLUDING A WARM HALF-PAGE INSCRIPTION on the dedication page). 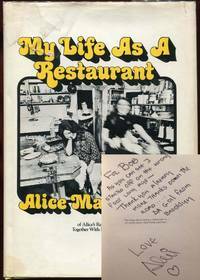 A solid copy to boot of the 1975 1st edition of this endearing follow-up to "Alice's Restaurant". Tight and VG+ (with very light staining on the panel edges) in a bright, price-clipped, VG dustjacket, with creasing --and several small closed tears-- at the front panel's top-edge. Still though, very presentable. Quartto, 142 pgs. Illustrations by Jason McWhorter, photographs by Jane McWhorter. Signed by Author.